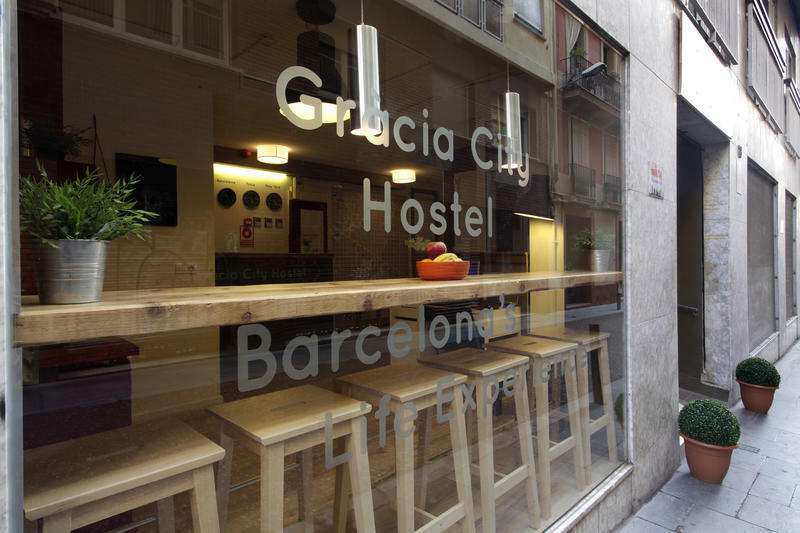 Hello and nice to meet you and welcome to Gràcia City Hostel! Let´s get to know each other - we are brand new hostel, designed by backpackers and for backpackers. Our goal is to make you feel at home. Our point of view is: cheap accommodation doesn´t mean low quality. We do our best so you can spend amazing time in Barcelona – come stay with us! We are travelers just like you, and we want all our guests to enjoy the hostel, its great atmosphere and its people. Come, have a beer, enjoy the hostel and relax. If you are that kind of person, then this is the right place for you. We are sure that you’ll fall in love with Barcelona, its people, streets and never-ending city life. Don’t forget about beaches too! 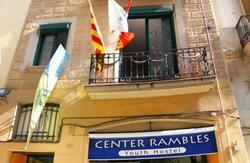 Our hostel is located in the very center of Barcelona, in the heart of Passeig de Gràcia, which is famous for its parties, best shops, great bars and clubs. We are located in the very center of the city, so you can get by walking to all famous places that you should visit in Barcelona, like La Sagrada Família, Parque Güell, Plaza Catalunya, Las Ramblas, Casa Batlló, La Pedrera and many other must-see amazing places and you can learn about catalan history, our language and culture. So get ready to enjoy Barcelona! 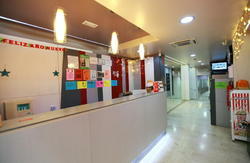 We created our hostel especially for travelers, so we have everything you might need after long trip. At our hostel you’ll find cozy rooms, great atmosphere and young ambiance. We have everything that suits the best the traveler’s needs. In our hostel you’ll find all types of rooms, from doubles to dorms, and even girls-only room. Bed-linen, blanket and pillow are always included in price, but if you feel cold at night – ask us for extra-blanket. Showers with hot water are available 24 hours a day. After a long journey all you want is have a good rest – and at our hostel you’ll get it. All our rooms are comfortable so for sure you will get a nice rest, each room has windows to the street and some of them have a little balcony, making our rooms fresh and enlightened in the mornings. So sleep tight and feel yourself at home. There are lockers inside all rooms - ask our staff and they will provide you a lock, so keep your belonging safe. The common areas are big and very nice, our lounge has computers with internet, which you can use for free – it´s ideal for travelers who need to stay informed or want to be in touch with their friends and families. For those who travel with their laptop, tab or smartphone we have free and very fast Wi-Fi available everywhere in the Hostel as well. There are sofas and pillows in the living room, so take a nap if you feel like ;) We have best music always playing in our lounge, also there is huge TV, so you can watch everything – Barça game, NHL, movie or your favorite series. We have fully equipped kitchen, totally ready for you to cook something – so feel free to cook whatever you want or ask us for some traditional recipe. If you travel alone, it’s not a reason to be bored and lonely. You are among friends – so we invite you to join any of our activities, and we have plenty of them every day – free walking tours, picnics, drinking games, karaoke nights, salsa lessons, home dinners and much much more! – so just come and meet new cool people. Our staff is what we are really proud of. All backpackers themselves just like you, locals and travelers, they speak English, Spanish, French, Catalan, Italian and Russian. We will always welcome you with a positive attitude, assisting you for all your needs. We have city maps and good recommendations to go out and enjoy Barcelona´s best place, cause we know them all – so just ask us! Our address is Carrer de San Pere Martir 18, Barcelona. WHEN YOU MAKE THE BOOKING, YOU WILL GET A CONFIRMATION AND A TELEPHONE NUMBER AND CONTACT EMAIL. PLEASE BE SURE TO INFORM YOU DATE AND TIME OR ARRIVAL WITH ANTICIPATION.